It all starts with a bed time story. A father is telling his daughter a tale of his youth; an unbelievable journey which you get to experience for yourself. In this story his uncle, Fred, has been missing for a couple of months and he goes to his house in order to find clues that may uncover what had happened. Among the piles of scientific books, maps and a Big Daddy helmet, he discovers an unusual suit that seems to have been made in exactly his size and a portal, intended to be a waste disposal system, that teleports him to a strange and fantastical world. Upon entering this new world you find that the suit holds the key to your movement. It allows to you move quicker and jump higher, it can be charged for a huge jump and has a grapple function that can attach to surfaces. This is fortunate, as this world has floating islands of land mass above a seemingly never ending chasm. 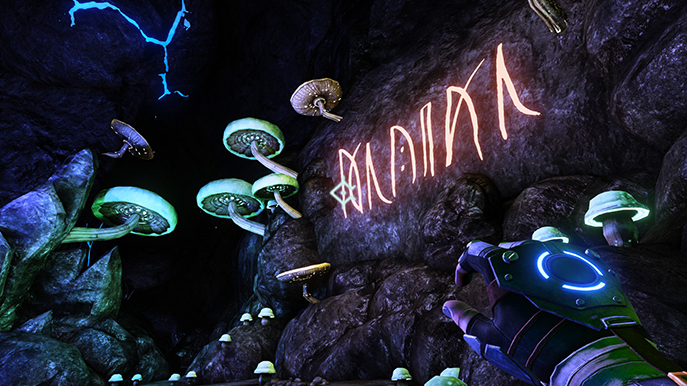 A Story About My Uncle is a first person platformer which has you leaping and flying through the air as you traverse this unusual world. The platforming is solid, precise and feels great. 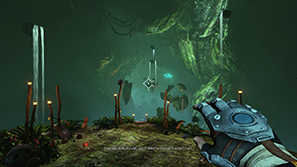 It is always a worry with first person games that platforming will be difficult to pull off, as you can't see your feet or shadow to judge landings, but the controls are so tight that if you miss your landing, its more likely your own fault rather than the game's. I rarely plummeted the depths in the first couple areas as I got used to traversing in this way. The suit enables you to sprint at great speed and the different abilities can be combined to thrilling effect. You can speed through some areas, fly great distances through the air and the thud of your landing, with the camera acting appropriately, is enormous fun and very satisfying. The world is wonderfully realised. Built on the Unreal Engine, it has a bit of the texture pop-in that is frequent with it, but the graphics and art design are beautiful. There are a number of distinct and different locations and they all look great. There were a number of times where I just explored and admired the scenery around me. The world's design is contextualised well within the narrative too. There are collectables and scenes to discover in every level. 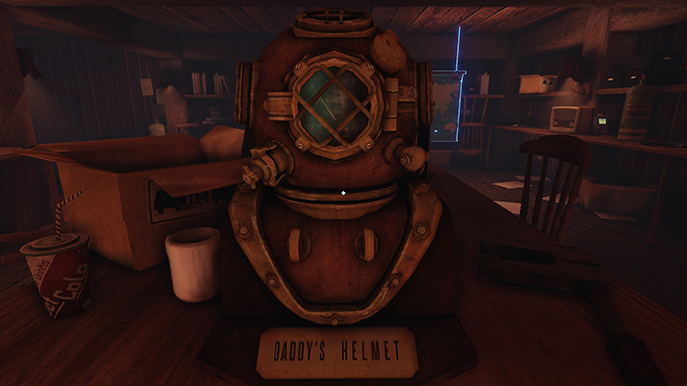 You find your uncles machines (five per level) and you can find old camps and various things that he has left. These trigger narration, the father recollecting to his daughter what he thought at the time and clues you in on the overall story. Throughout the game the voice work is very good. However, the father/narrator sometimes stifles his words, sounding a little wooden, not conveying the emotion that the words sometimes carry. A Story About My Uncle's narrative is intriguing. 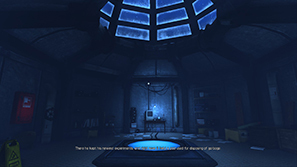 It revolves around your uncle's disappearance and throws up some interesting things along the way. There was one specific instance, that I figured out before it was revealed, that I hoped would be explored further as I thought it was a great topic, but unfortunately, it was mentioned and then you moved on. It was consistently exciting to find out what was next in this tale. The levels are well designed, and while fairly linear you'll almost always know where you have to go. There were one or two instances where I was unsure, but thanks to my massive jump I could scout the area. 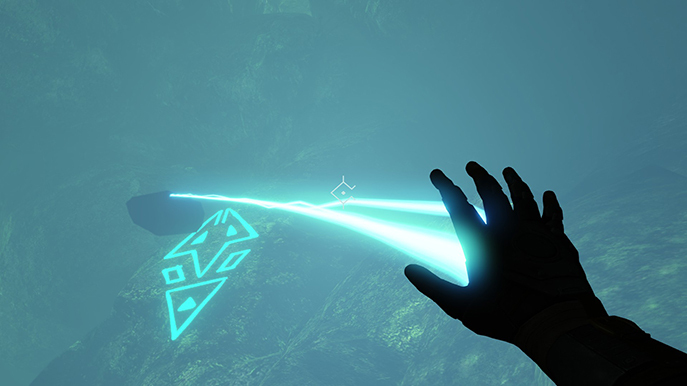 You can also use this to reach places the game doesn't necessarily want you to go, ending up clipping through the environment in rocks surprisingly close to the actual path you needed to take. The platforming gradually gets more difficult and complex as you go through the game and this is mostly on a well thought out curve. However, there is a spike in difficulty near the end. 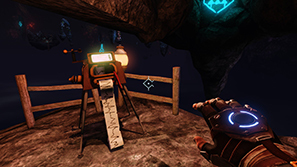 On the final level you are able to recharge your grapple. You can shoot it three times before landing and the game requires you to shoot crystals (which uses one of your grapple turns) that grow on walls to recharge to full. Doing this while flying through the air is unintuitive, enormously frustrating and very difficult. There was one section where you are in the air for a considerable time, having to recharge half a dozen times at least while zig-zagging through the area. This is near impossible on a controller as the camera doesn't pan around quickly or precisely enough to manage. I ending up, after a good number of attempts, managing to get past this using a keyboard and mouse. The rest of the game is absolutely fine with a controller. A Story About My Uncle was very nearly a 5 for me, but the final level became so frustrating I imagine it would put some players off. The checkpoints are frequent and you respawn instantly but some of the sections in that last level were so fiddly and awkward that trying it for the thirtieth time is a little demoralising. There are other difficult sections in the level but these are designed better and are manageable and really satisfying to pass. The sense of speed is fantastic and you'll surprise yourself with how big a gap you can swing over, combining all your different abilities. For the most part A Story About My Uncle is tremendous fun with fantastic graphics in a well thought out world that I wanted to spend more time in. I finished the game in four hours exactly. After that final level I was ready for the end but will be going back for the time trial mode. 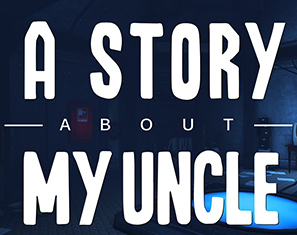 A Story About My Uncle is a great game that is absolutely worth your time and money. - Recharging your grapple in mid-flight is difficult, awkward and necessary. if levitra doesn't work. levitra online pharmacy. viagra cialis levitra wikipedia. compare levitra vs cialis. Main Page. will levitra raise blood pressure. levitra odt side effects. levitra buy. how to use levitra 20 mg.
levitra atenolol drug interactions. buy cheap levitra. side effects of a woman taking levitra. levitra chemical composition. levitra online. levitra india pharmacy. beställa pris, http://sverige-apotek.life/serpafar.html , köp generisk online Danmark. where can i buy over the counter in uk http://hashala.co.il/UserProfile/tabid/57/userId/4683308/Default.aspx Cheap nz.